Inspiring Average Janes to Craft Up Their Life! 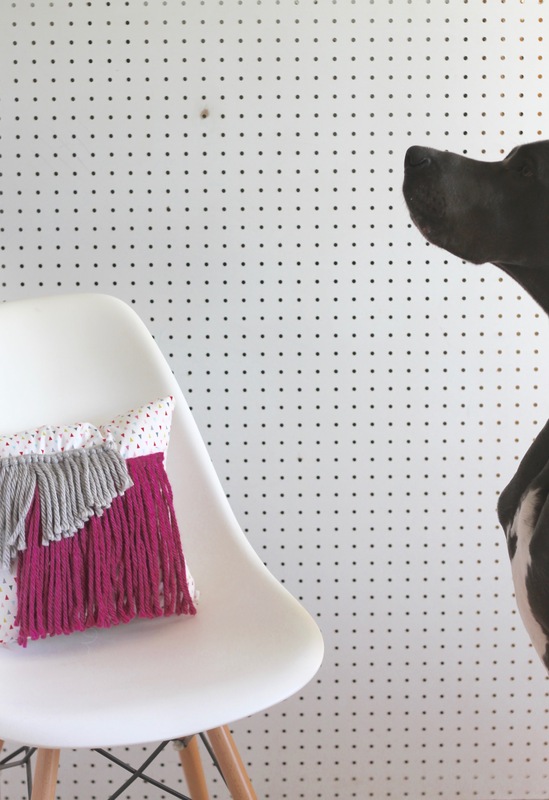 I have a major crush on woven wall art this year! It’s completely on-trend, and I love all of the fun colors it can incorporate. I don’t have one area that I’d like to fill with my own wall hanging, so I got to thinking of how I could make my own without having to remove some wall art that I already had. I decided to make a DIY Throw Pillow featuring a Woven Design! Throw Pillows at the store are expensive. Even at discount stores, they’re at least $15 each. I don’t know about you, but I have the “I can make that” disease, and so I leave the store empty handed every single time. Luckily, my throw pillow didn’t cost me $15 to make. Once your pillow is all put together, it’s time to start working on the woven design! Cut several pieces which are approximately 12″ long, and one piece that is about 6 inches long. 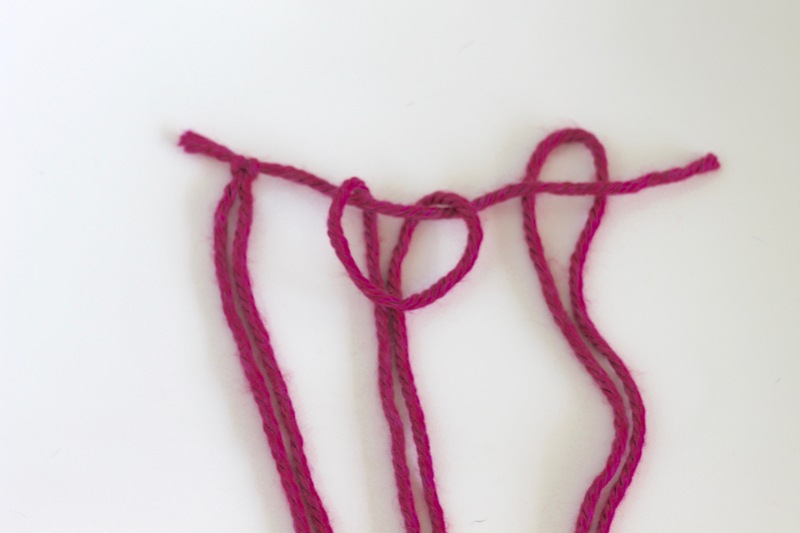 Lay down the short piece, and then use each long piece to create a slip knot onto the short piece. Here’s an example of how to create a slip knot. Once you’ve made one section of the woven piece, create another in a coordinating color. I cut mine at an angle to give it a little bit of depth and interest. Then, i filled it with some poly-fil I purchased and stitched up the opening. 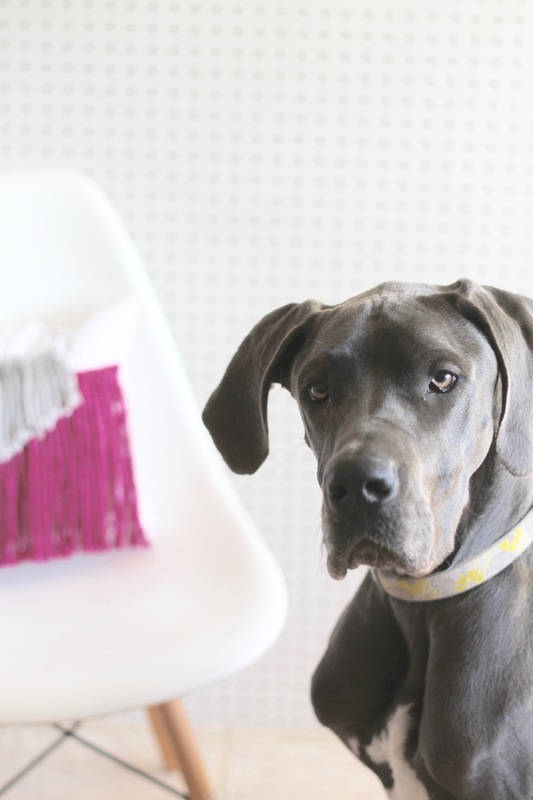 Have you ever made a throw pillow before? If you like ideas like this, you'll love what else we come up with! Sign up for our e-newsletter to receive colorful ideas in your inbox each week. Ula recently posted…For the Love of Legends Tour – Unicorns! Thanks Heather for sharing this post. 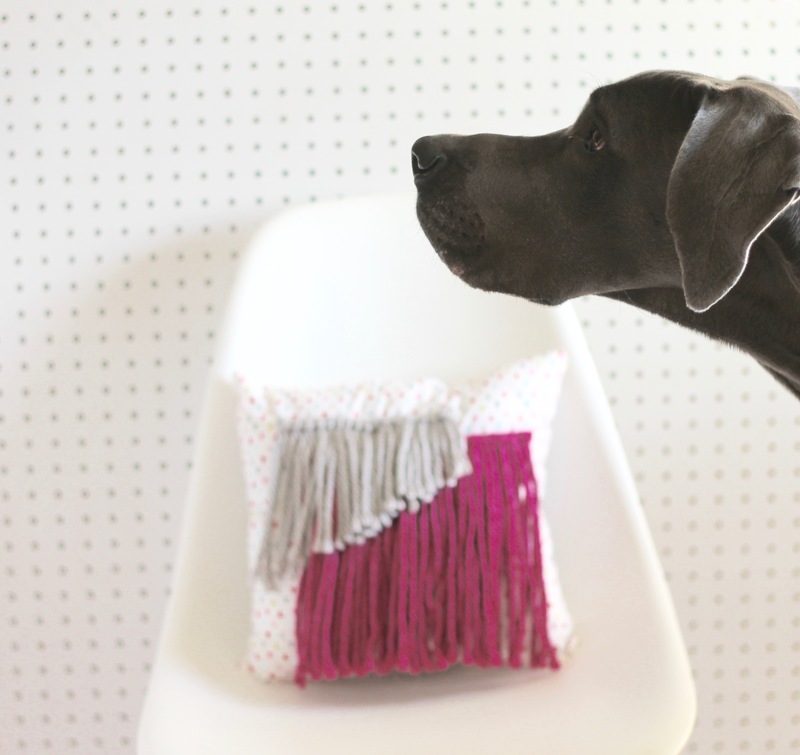 Great tutorial for making Throw Pillows. Hi there, I'm Heather and the crafty mind behind craft + tell! I want to show people how to bring out their inner creative goddess. Turn on your glue gun - class has begun! Tell me more! Subscribe to our emails and get goodies in your inbox every week!